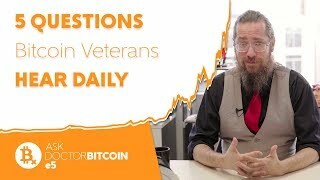 Ask Doctor Bitcoin | All your crypto questions answered. Brand new to Bitcoin? Start Here! The post Ask Doctor Bitcoin Episode 10 appeared first on The Roger Wilco Agency. Doctor Bitcoin is back from the holidays and ready to share his tips on how to develop a mindset that thinks crypto first, as well as how a Smart Contract supply chain works and how to diversify your Portfolio. This week, Doctor Bitcoin covers some of the most frequently asked questions about cryptocurrencies, and the questions you SHOULD be asking instead. This week on Ask Doctor Bitcoin, we look at the difference between proof-of-work and proof-of-stake and how it relates to securing a blockchain. This week on Doctor Bitcoin, we dive into Smart Contracts and learn which wallets are the best for holding cryptocurrency. 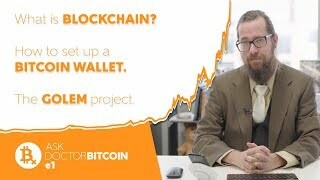 The post Ask Doctor Bitcoin Episode 3 appeared first on The Roger Wilco Agency. This week on Doctor Bitcoin: we cover the rise of Bitcoin, talk about Turing-complete blockchains, and learn how to purchase cryptocurrency from the right place. 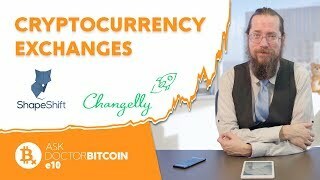 The newest series from Doctor Bitcoin is dedicated to demystifying the world of cryptocurrency. Today, we define blockchain, walk through setting up a crypto-wallet with Green Wallet, and learn about Project Golem. The post Ask Doctor Bitcoin Episode 1 appeared first on The Roger Wilco Agency. The post Rapid Report on the Bitcoin Blockchain’s Environmental Impact. appeared first on The Roger Wilco Agency. The post “Bitcoin is a fraud,” – JP Morgan CEO Jamie Dimon. appeared first on Mark “Rizzn” Hopkins. The post Ask Doctor Bitcoin: A Quick Crypto FAQ. appeared first on Mark “Rizzn” Hopkins. The post Ask Doctor Bitcoin: Do You Endorse the bitqy Token? appeared first on Mark “Rizzn” Hopkins. The post IBM Waston IoT interviews Mark Hopkins on how to secure IoT appeared first on The Roger Wilco Agency.